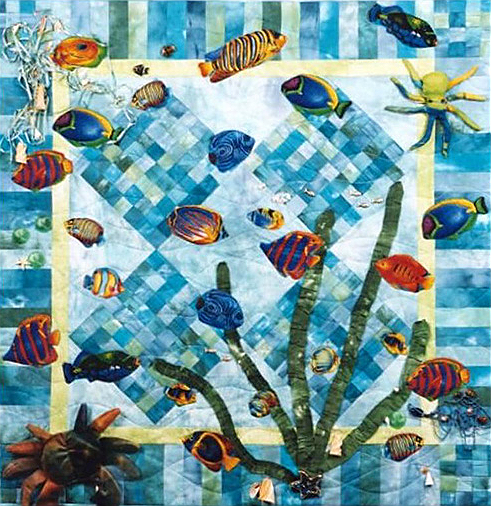 A two-day workshop featuring instruction in weaving with raw edges, piecing and machine appliqué to make an underwater seascape as seen on "Simply Quilts" episode 539. This quilt measures 34” square and has a pieced border. The original is made of hand-dyed fabrics; kits from Pieces of Dreams are available if participants wish to use the identical fabrics. This class is for the quilter with intermediate skills. Click HERE to download the Supplies List.